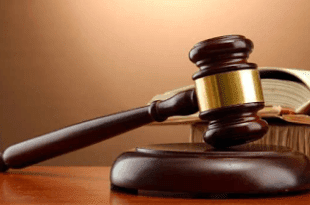 Taiwo Akinlabi, 47, who allegedly beat his son to a pulp for not collecting change from where he sent him to buy beer was on Friday charged before an Ikeja Chief Magistrates’ Court. The accused, a carpenter, who resides at 43, Oyemekun St., Ifako Agege, suburb of Lagos is being tried for assault. Police prosecutor, Clifford Ogu, told the court that the offence was committed on Jan. 13 at the residence of the accused. Insp. Ogu said that the accused sent his son, a 13-year-old, to buy beer for his friend who visited. “On getting to where the boy wanted to buy the beer, the seller told him that the father owed her N300 earlier and the boy paid the money from there. “On getting home, the son told the father how N300 was removed from the change and he started beating him. “The accused hit his son’s head with hammer and the boy fainted,” the prosecutor said. Ogu added that the boy was rushed to a nearby hospital, while the accused was arrested. The offence violated Section 173 of the Criminal Law of Lagos State, 2015. The Chief Magistrate, Mrs Taiwo Akanni granted the accused to a bail of N50, 000 with two sureties in like sum. Akanni adjourned the case till Feb. 26, for mention. » IF YOU DON'T MAKE UP TO N300,000 IN ONE OR TWO MONTHS WITH THIS STUFF THEN YOU ARE THE LAZIEST PERSON ON EARTH!